Need. Every business and organization needs good writing. Many ministries and churches have small staffs. Leaders wear many hats and do not have time to produce quality promotions and content. A good writer provides a needed service. Savings. By hiring freelancers, organizations can pay per project and can avoid adding an additional staff salary to the payroll. Accessibility. Many clients don’t know how to go about finding a freelancer. When you let them know you are available, you give them the chance to hire you. 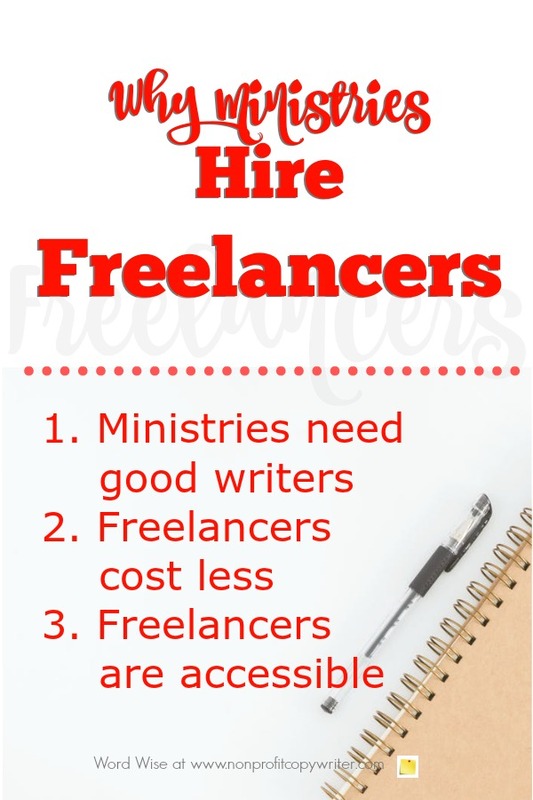 What kinds of Christian freelance writing jobs are out there? Freelance work includes all kinds of writing projects, including articles, appeal letters, blog posts, brochures, devotionals, direct mail packages, email campaigns, e-zines, grant proposals, lessons, ministry presentations, newsletters, PowerPoint presentations, social media posts, strategic plans, stories, study materials, and web content – to name a few. Organizations are also eager to hire out editing work. How should you go about finding Christian freelance writing jobs? Put together basic promotional tools that highlight your skills and abilities, including a portfolio of your work (samples of different kinds of pieces you’ve written). Launch social media sites that speak to Christian ministry sites. Tell potential clients you are available. Identify those that fit your niche and send them a personalized solicitation letter or email explaining why they may want to hire you. Offer potential clients a freebie for responding. When potential clients request your freebie, follow up. Bid for freelance jobs on paying websites such as ELance. Identify blogs, websites, and social media sites in ministry niches that interest you. Follow them and comment as frequently as possible, linking back to your website wherever appropriate. Comment on ministry Facebook pages. Include helpful links back to your site. Retweet helpful content to your followers. Find devotional sites in need of material. Query the editor to write a series. Submit articles to ministry sites, obtaining a back link to your website. Add to your personal website regularly, providing interesting content for your target niche that they will find helpful. Publish an online newsletter. Offer a freebie opt-in on your website. By publishing regularly you’ll stay in front of potential clients with helpful content and information. When they have a project, they will then be more likely to call you. Start and maintain your own freelance writing blog. Adding regular content to your website raises your site on search engine results. Work hard on every project – paid or unpaid – and build a reputation of excellence. Be reliable. Finish a project on time or early. Good copywriters are hard to find. Good Christian copywriters are even rarer. Offer quality writing and reliable service and you will have more work than you can handle.